Dress up your baby for the holidays with these seasonally stylish, soft plaid flannel gPants by gDiaper. Glen Lassie gPants for baby girls and Glen Laddie gPants for baby boys come in festive navy and red plaid prints that will look ultra cute under any holiday outfit. The Lassie gPants come with an adorable ruffled bum for girly flair while the Laddie gPants sport a faux leather patch on the back for your little guy. Like all gPants, these fall and winter ready diaper covers feature a gentle stretch and trim fit. Plus all gPants are made with gBreathe technology which means fewer rashes for baby. Scoop up a merry plaid pair before they’re gone! RELATED | Read Inhabitots’ gDiapers review now! 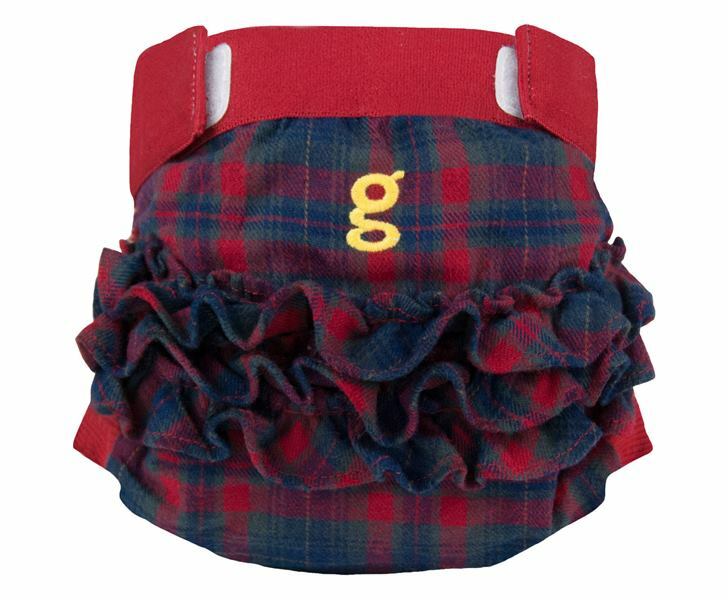 Dress up your baby for the holidays with these seasonally stylish, soft plaid flannel gPants by gDiaper. Glen Lassie gPants for baby girls and Glen Laddie gPants for baby boys come in festive navy and red plaid prints that will look ultra cute under any holiday outfit. The Lassie gPants come with an adorable ruffled bum for girly flair while the Laddie gPants sport a faux leather patch on the back for your little guy. Like all gPants, these fall and winter ready diaper covers feature a gentle stretch and trim fit. Plus all gPants are made with gBreathe technology which means fewer rashes for baby. Scoop up a merry plaid pair before they're gone!